Annual Meeting and Elections: The West 7th / Fort Road Federation’s Annual Meeting will be Wednesday, April 17 at 6 p.m. at Summit Brewing, including Board elections, updates on Federation activities, and a vote on bylaw amendments. Each board candidate answered five questions about themselves. Learn more about the event and candidates at fortroadfederation.org. 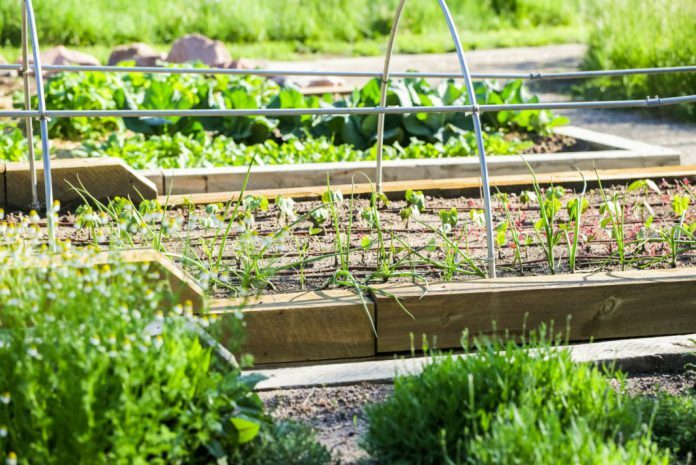 Community Garden Plots: Plots in the community garden located at Jefferson Avenue and Victoria Street are available to residents of the West 7th / Fort Road Federation’s district. Call or email Emily Northey for more information or to be sent a contract: Emily@fortroadfederation.org. West 7th residents have priority until April 1 when remaining plots will be open citywide. Board Update: At the Federation’s March 11 meeting, the Board heard presentations about the 2020 Census, Stop for Me, and the Blend Awards. • During our discussion of the project, two concerns were noted. First, we reiterated our goals in our District’s Comprehensive Plan and in the Great River Passage plan that it is important to gain access for the public to the site and to the Mississippi River. The area in which the building site is located is the only one in our District that has the potential to achieve a direct connection with the river for canoe/kayak launches. And, a trail through the site and area must also be established to connect with the regional network. •	The second concern was that the Federation Board is being asked, once again, to support a market rate housing project in our district. We have a need for affordable housing, especially for families and for elderly persons, and this project proposal will not meet that need. We implore the City to establish incentives for developers to include a proportion of affordable housing units in developments as we add housing stock to the community. No Board meeting in April.